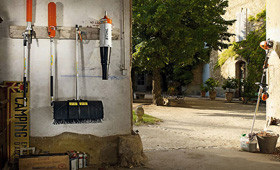 KombiSystem accessories from STIHL are designed to make a range of tasks easier. For example, the Kombi carry bag is ideal for storing and transporting your KombiSystem. The HT comfort harness ensures you can work for longer periods with increased comfort.